Members of the department will soon ride from New York City to Washington D.C. in memory of officers who were killed in the line of duty. Locals have an upcoming opportunity to support their local police department, as members of the Evesham Township Police Department will be participating in the Police Unity Tour during the upcoming National Police Week. National Police Week pays recognition to those law enforcement officers who have lost their lives in the line of duty. The Police Unity Tour will see members of the Evesham Township Police Department ride bikes from May 9 through May 12 from New York City to the Police Memorial in Washington D.C. in memory of police officers who were killed in the line of duty. As part of the fundraising efforts, Police Unity Tour bands will be sold in all Evesham Township Schools for $1 each. According to police officials, the money raised will be donated to the Police Unity Tour. 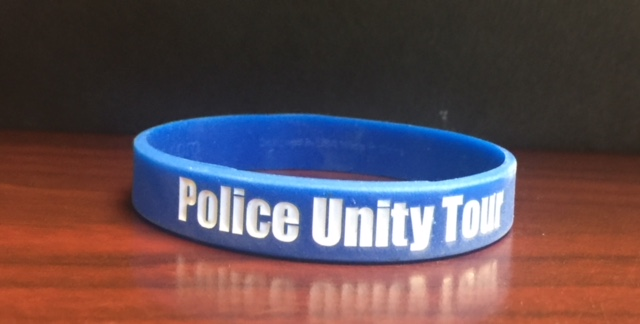 Police say members of the public can show their support by purchasing a Unity Tour band today. Those who wish to donate can also visit this website.